The face of a criminal? Meet Akhenaten; the pharaoh whose name became taboo. Few other pharaohs seem to have burned with the religious fire that drove Akhenaten. He promoted a formerly minor player in the pantheon of gods, to be held above all others. The object of his devotion was Aten, the power emanating from the sun-disc. The king saw Aten as the sole giver of life, which made the other gods obsolete. But for the king, it wasn't enough that he simply renounce the traditional gods that had flourished over the previous 2,000 years; he had to rid Egypt of their names and images - particularly the state god, Amun. The name of Amun, as well as his face were hammered from tombs and temples up and down the Nile. Then, in a final break from convention, Akhenaten abandoned Thebes and founded a entirely new city - Akhetaten (modern Amarna). This dazzling new centre was the new home of the royal family and the focus of the King's worship of the Aten. However, Akhenaten's attack on Egypt's traditional gods prompted a powerful backlash after his death, where his images were attacked with a similar zeal. The plan was to wipe his name off the planet and deny him a place in the afterlife. The "... temples and the cities of the gods and goddesses … were fallen into decay, and their shrines were fallen into ruin, having become mere mounds overgrown with grass ... The gods were ignoring this land. If an army was sent ... to extend the frontiers of Egypt, it met with no success. If one prayed to a god, to ask something from him, he did not come at all; and if one beseeched any goddess in the same way, she did not come at all." Interestingly though, the stela never mentions Akhenaten's name. He had been erased. During the reign of Ramesses II, more than a century after Akhenaten's death, the king was referred to as' "the rebel" or "the criminal" of Akhetaten' to avoid speaking his name. Despite his successor's efforts however, statuary and reliefs survived, bearing Akhenaten's distinctive Amarna style. Early in his reign the king invented a brand new look for his portrayal: an elongated face, narrow eyes, and large fleshy lips. Later on the king's image softened, became more realistic and we glimpse the real man, Akhenaten. Based on the remaining more natural portrayals of the king, this recreation by Seeda seems rather plausible. Suddenly Akhenaten seems a little more real to those of us trying to get inside his head. 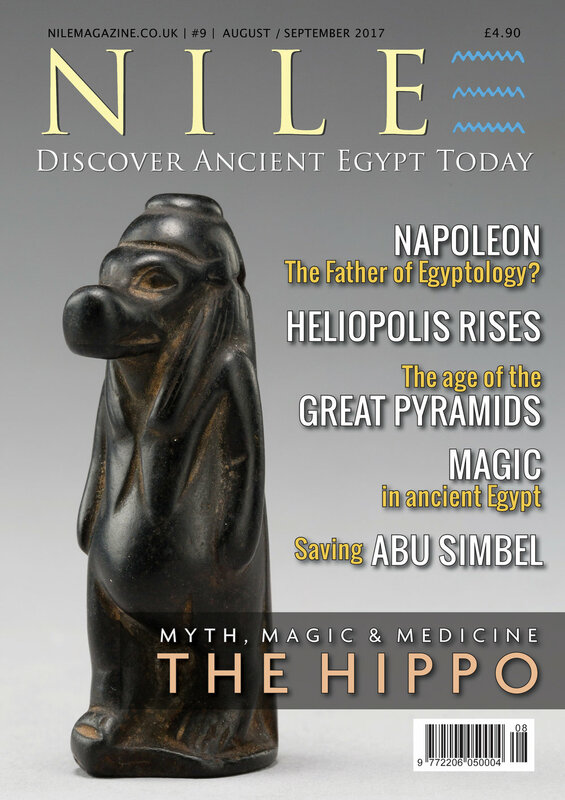 The May / June edition of Nile Magazine features Akhenaten and answers the big 'why' question; why did the king of the most prosperous nation on Earth become so distracted with such a minor god like Aten. You can purchase your copy here: www.nilemagazine.com.au/vo1-1-no-2.